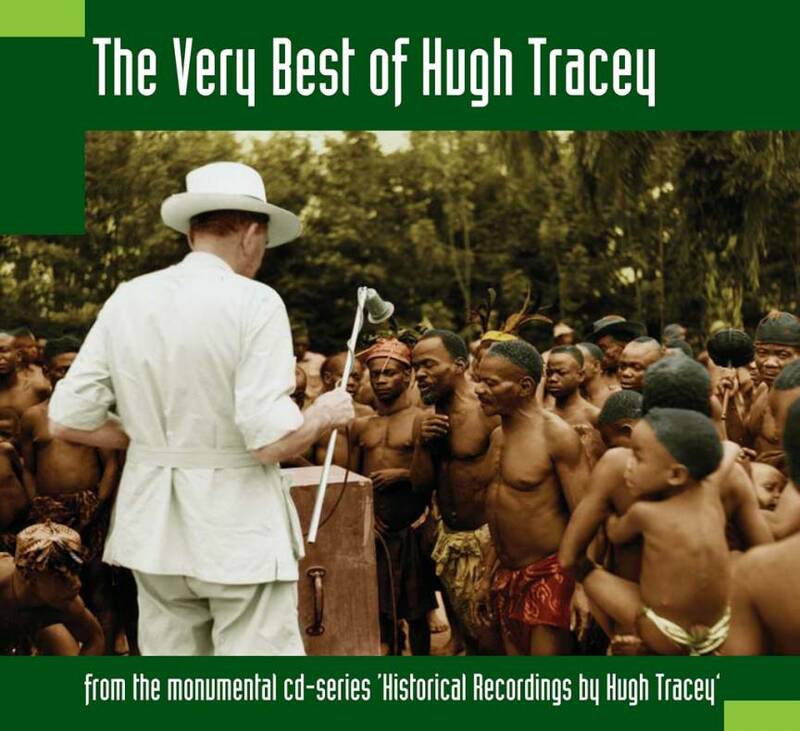 This album consists of one star track from each of the 21 cds in the 'Historical Recordings by Hugh Tracey' series, plus 6 bonus tracks from the original session in 1952 with Jean Bosco Mwenda. These Mwenda recordings surfaced in the archive after Michael Baird had completed the series and we felt that we could not let them fall back into oblivion. SWP 034 is the perfect introduction to Hugh Tracey's recordings. Total time: 76'20". 6 page digipac. Tracklist: 1. Zigezi Karagwe, by Royal Drum Ensemble, 2. Rwakanembe, by Nyoro Royal Horn Ensemble, 3. Yando, by Chief Baonoko and men, 4. Bata Wasunga Mulundu, by Edward Kalunga, 5. Wa Kabwalala Wa Beena Luluwa, by Dibaya men & women, 6. Chirombo Woye Nditerere, by Mugadzikwa Mwanagona, 7. Tabiya, by Limited Mfundo, 8. Dale Wangu Ukamunyenga Masotho, by Beti Kamanga, 9. Masengu, by Patrice Ilunga & Victor Misomba, 10. Andanyero Mamamba, by Gabriel Ebogoma, 11. Maomosa Re Kaeleng, by Motsekhumo Tiro & men, 12. Inkulu Into Ezakwenzeka, by Nontwintwi, 13. Msitso Wa Wuraru, by Shambini’s Ensemble, 14. Mjinga Masikiyo Uzibe, by Pembe Selemani & men, 15. Awu Mungo Ya Wetu II, by Madeje Matengo and men & women, 16. Omukungu Nakanyagwe, by Eriya Bakwasa, 17. Wukati Lakukawa Hinenge, by Feliciano Gomes, 18. Guabi Guabi, by George Sibanda, 19. Chemirocha, by Chemutoi Ketienya & girls, 20. Doa Jeupe, by The East Coast Orchestra, 21. Skokiaan, by The Cold Storage Band. + BONUS TRACKS from the original 1952 session with Jean Bosco Mwenda: 22. Masanga, 23. Mama Kilio-e, 24. Sokuchomale Jikita, 25. Tambala Moja, 26. Bombalaka, 27. Masanga instrumental. The Beat 2009 (USA): "Cherry-picks from the 21 previous releases. Whether your thing is hot drum, xylophone or thumb-piano tones and beats, big choruses, sweet, savoury or bouncy vocals, they’re all in this collection. But the real prizes on this album are the hitherto unavailable tracks, except on the original vinyl recordings, of Congolese guitarist Jean Mwenda Bosco – a bit of heaven." Songlines 2008 (GB): "Anyone aspiring to a good knowledge of African music will – or should – already know this stuff backwards. But if you need a one-stop guide to what makes traditional African music great, you won’t do better than this." The Wire 2008 (GB): "Every track is a treat. Old school African music at its most joyous and accessible."